wedding was a memorable occasion. 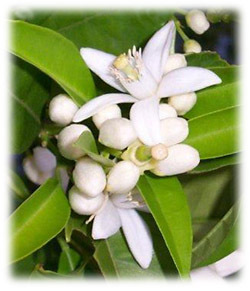 Queen Victoria’s dress was of rich white satin, trimmed with orange flower blossoms. The headdress was a wreath of orange flower blossoms, and over this a beautiful veil of Honiton lace, worn down. The marriage of Queen Victoria and Prince Albert was solemnized on the 10th of February 1840, at the Chapel Royal, St. James's. Queen Victoria's wedding day was inauspicious, a heavy rain falling; but immense multitudes assembled to gaze upon the processions. At daybreak crowds of anxious and loyal subjects were seen hastening from all parts of the city in the direction of the royal palaces and the whole city exhibited the most extensive preparations for the proper celebration of Queen Victoria's wedding. In St. James's Park, the area in front of Buckingham Palace, and the avenue leading from thence to the garden entrance of St. James's was densely thronged before eight o'clock, and the rain which fell after that time caused no sensible diminution of the crowds, for as fast as the endeavor of one body of the eager visitors gave way their places were filled by the fresh numbers which were every minute arriving. Her Royal highness the Duchess of Kent and the twelve Bridesmaids were in attendance upon her Majesty at an early hour in preparation for Queen Victoria's wedding. The Princess Sophia Matilda of Gloucester, the Duchess of Cambridge, the Princess Mary, and the Princess Augusta of Cambridge, and the Duchess Gloucester also arrived early at the Palace and were admitted to Queen Victoria's private apartments. The bridal procession from Buckingham Palace to St. James’s, where the ceremony for Queen Victoria's wedding was to be performed, begun to move through the triumphal arch at 12 o'clock. A royal salute of 21 guns announced that Queen Victoria was entering her carriage. Every accessible part of St. James’s Park which lies between the palaces had been crowded from an early hour, and Queen Victoria was received in the most enthusiastic manner by those who were so fortunate as to command a view of this procession. The procession for Queen Victoria's wedding passed on to the Garden Entrance of St. James’s Palace by which Her Majesty entered and proceeded to the Queen’s Closet, or Privy Council Chamber, where she remained for half an hour till the procession was formed in front of the Throne. During all this time the cheering continued in front of the Palace with uninterrupted vehemence. Prince Albert's portion of the procession moved first, preceded by the Lord and Deputy Chamberlains, who conducted His Royal Highness to the chapel where he remained on the right hand side, or left of the altar. He was attended by his Gentleman of Honor, and the Reigning Duke and Hereditary Prince of Saxe Coburg (his father and elder brother) and their suites, and preceded by drums and trumpets. His Serene Highness wore a field marshal’s uniform, with large rosettes of white satin on his shoulders. 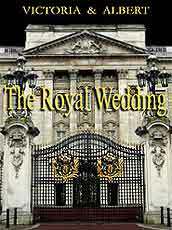 There was a flush on his brow as he entered the chapel to begin Queen Victoria's wedding. His manly and dignified bearing, and the cordial and unaffected manner with which he greeted those of the Peers and Peeresses around him, won all hearts. Many of those around pronounced that Prince Albert was a consort worthy of Queen Victoria. The Lord Chamberlain and Deputy Chamberlain returned to Queen Victoria, and having their prescribed positions, her Majesty's procession advanced preceded by music, and guided by the Officers of the Earl Marshal. The procession passed through the Throne Room, the Ante Throne Room, Queen Anne’s Drawing Room, the Guard Chamber, the Armory, the Grand Staircase, and the Colonnade leading to the Chapel. All these apartments were sumptuously adorned, and in all of them seats had been prepared for spectators, which crowded with an array of beauty and fashion. Twenty-one hundred tickets had been issued for the accommodation of spectators in these places. Queen Victoria’s dress was of rich white satin, trimmed with orange flower blossoms. The headdress was a wreath of orange flower blossoms, and over this a beautiful veil of Honiton lace, worn down. The bridesmaids or train-bearers were also attired in white. The cost of the lace alone on the dress was £1,000. The satin, which was of a pure white, was manufactured in Spitalfields. Queen Victoria wore an armlet having the motto of the Order of the Garter: "Honi soit qui mal y pense,” inscribed. She also wore the star of the Order. 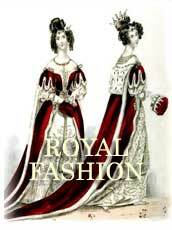 The Queen Dowager's dress was of English lace with a rich deep flounce over white satin; the body and sleeves trimmed with the same material. The train was of rich violet velvet lined with white satin and trimmed with ermine. The whole of this dress was entirely composed of articles of British manufacture. Queen Adelaide wore a diamond necklace and earrings, a head dress, feathers, and diamonds. The Duchess of Sutherland wore a dress of white satin trimmed with barbs of Spanish point lace and white roses. Included was a stomacher of brilliants, point ruffles and berthé; plus a train of white moiré magnificently embroidered in coral and gold. The head dress was of feathers and point lappets with splendid diamonds. After partaking of the sumptuous dejeune, the royal bridal party set out for Windsor attended by the military, and on the road they were greeted by assembled thousands with the same affection and cordiality with the inhabitants of London. 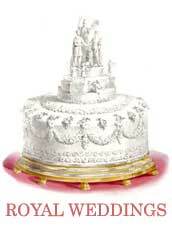 The royal cake weighed nearly 300 pounds and was three yards in circumference. Illustrated article about what Queen Victoria really thought about pregnancy, children, marriage and men. 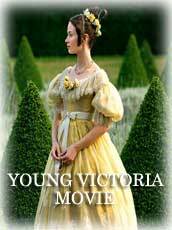 The latest about the upcoming movie, "Young Victoria." 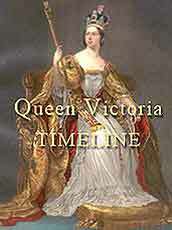 The movie will chronicle Victoria's early rise to power, focusing on the romantic courtship and her legendary marriage to Prince Albert.